Now let’s create a New DHCP server for the new guest network under Configuration > Advanced > Network Objects > DHCP Server & Relay. 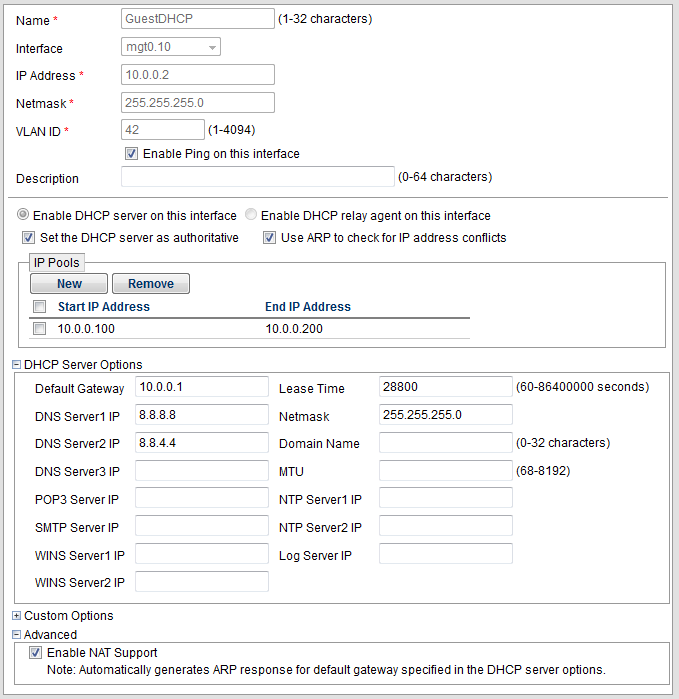 Make sure you add public DNS servers to the DHCP server options. Attribute Number must be a unique number. Select your new VLAN in the Default VLAN field. Now create a New SSID and reference the new User Profile. The last step is a bit awkward because it must be individually performed for each access point. Unfortunately a bulk edit is not possible. 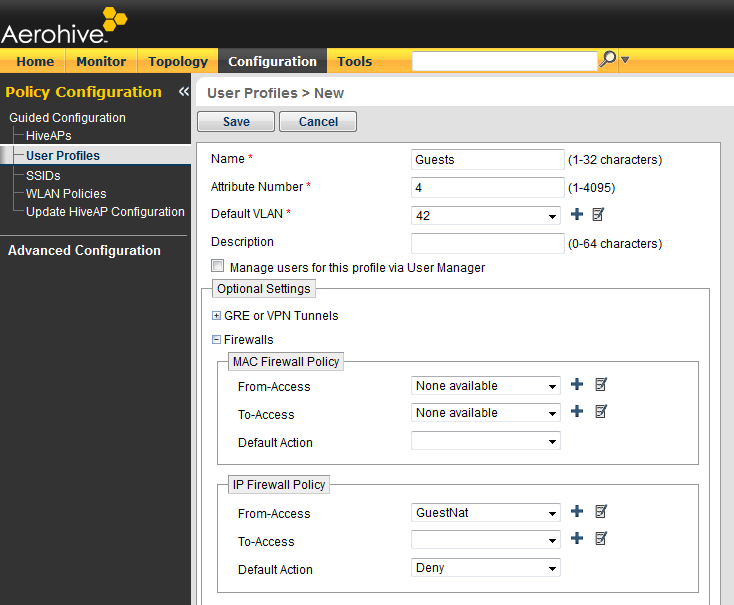 Edit each AP and navigate to Optional Settings > Service Settings > DHCP Server & Relay. Add the DHCP server to each AP. There you go! You now have a separate SSID that provides guest access (or whatever kind of access you want) to the Internet. Furthermore, this network does not leak any information about your internal private network since it uses its own IP addressing scheme, is firewalled off, and is configured to use public DNS servers. If anyone has comments or if you find this information to be helpful, please let me know and/or follow me on Twitter. Fab on 01/11/2013 4:43 p.m. Thanks a lot Charles for your Help concerning setting up an Access Ppoint as DHCP server for separate Guest access! Terrance on 01/25/2013 12:16 a.m. Does the gateway still need to be terminated at the firewall/coreswitch ? Karl on 06/03/2013 8:10 a.m. Brilliant guide, I've spent ages looking for exactly this. craig on 06/14/2013 1:13 p.m.
Now let us know how to make this work with CWP. Daniel on 12/06/2013 5:42 p.m.
Hi. I just got our first Aerohives. They are running 6.1r2 and I cannot find where to create a VLAN. Have you used your technique with recent firmware? Am I just being dense?